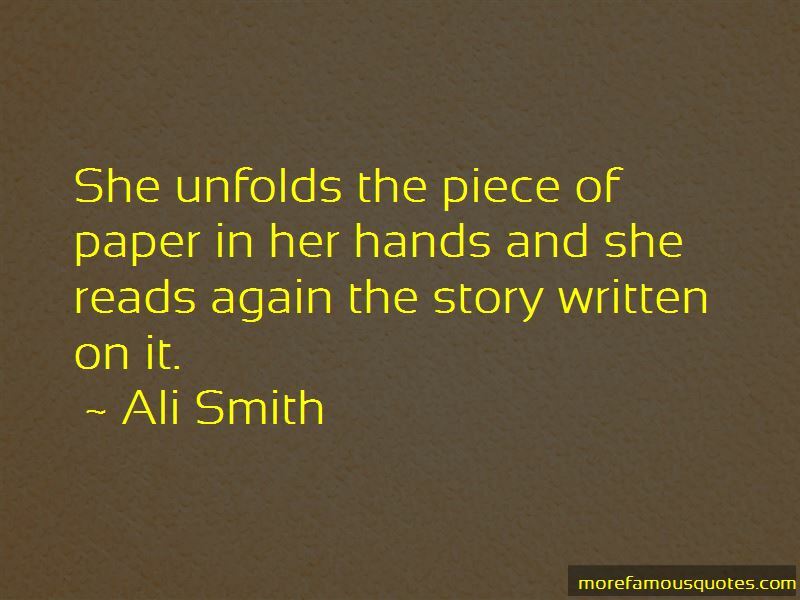 Enjoy the top 155 famous quotes, sayings and quotations by Ali Smith. Or perhaps it is just that George has spent proper time looking at this one painting and that every single experience of looking at something would be this good if she devoted time to everything she looked at. - except, that is, in the glimmer of a moment of fair business between strangers, or the nod of knowing and agreement between friends. The third person is another pair of eyes. The third person is a presentiment of God ... a way to tell the story. It's a box for the endless music that's there between people, waiting to be played. I went outside mournful, and I hit pure air. “The novel, he was saying, was a flabby old whore. A flabby old whore! the older man said looking delighted. She was serviceable, roomy, warm and familiar, the younger was saying, but really a bit used up, really a bit too slack and loose. Slack and loose! the older said laughing. Whereas the short story, by comparison, was a nimble goddess, a slim nymph. Because so few people had mastered the short story she was still in very good shape. “And they all died happily ever after. So always risk your skin, she said, and never fear losing it, cause it always does some good one way or another when the powers that be deign to take it off us. “Want is quite a complicated word there, because there's volo, which means I want, but it's not usually used with people. Desidero? I feel the want of, I desire. Amabo? I will love. But what if I will never love? What if I will never desire? What if I will never want? Then I wondered why on earth would anyone ever stand in the world as if standing in the cornucopic middle of the Hanging Gardens of Babylon but inside a tiny white-painted rectangle about the size of a single space in a car park, refusing to come out of it, and all around her or him the whole world, beautiful, various, waiting? I got up to get us a drink of water and as I stood in the kitchen in the early morning light, running the water out of the tap, I looked out at the hills at the back of the town, at the trees on the hills, at the bushes in the garden, at the birds, at the brand new leaves on a branch, at a cat on a fence, at the bits of wood that made the fence, and I wondered if everything I saw, if maybe every landscape we casually glanced at, was the outcome of an ecstasy we didn't even know was happening, a love-act moving at a speed slow and steady enough for us to be deceived into thinking it was just everyday reality. 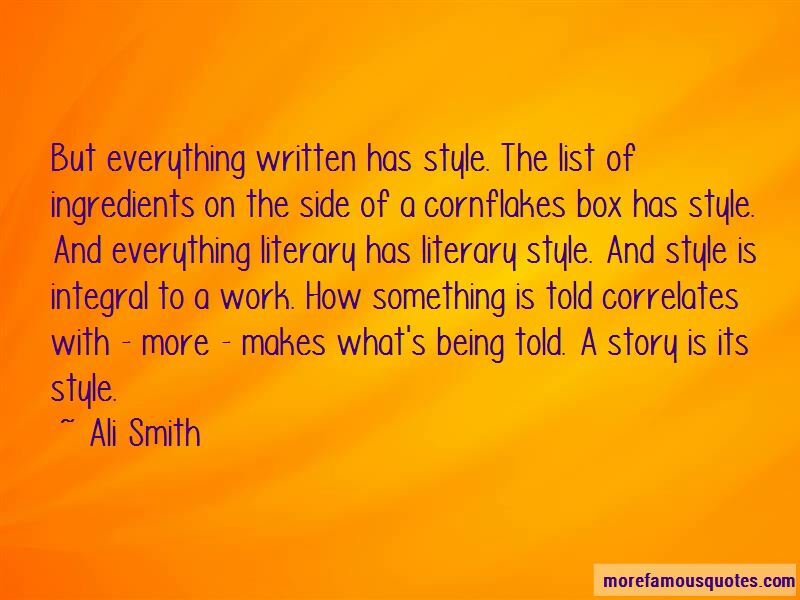 Want to see more pictures of Ali Smith quotes? 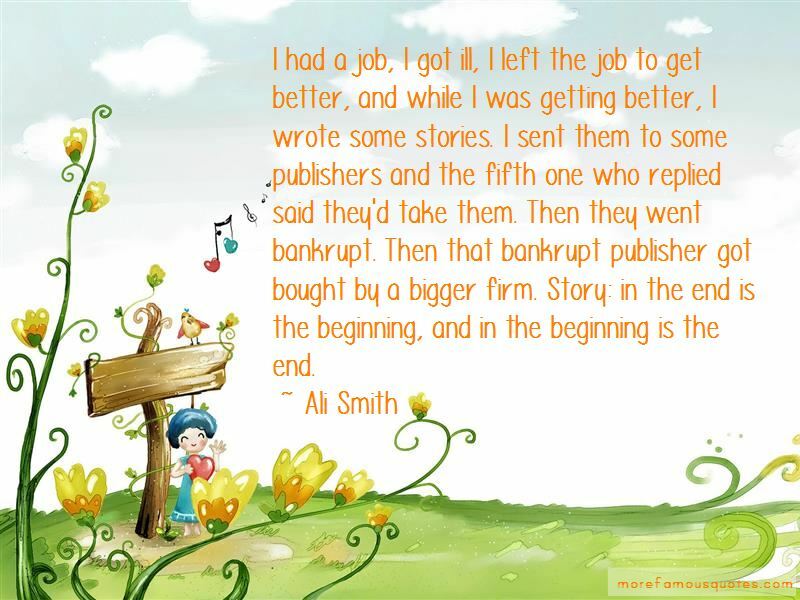 Click on image of Ali Smith quotes to view full size.